W.O.W = Workers on Wheels! It is a programs to help the foreign students who come to our community to work and have no for of transportation while they are here. This program collects used bicycles, our volunteers restore them to working condition and share with the students. If you have a bicycle in good conditions or perhaps in need of minor repairs. Contact the church or bring to the basement doors. The demand for these bikes keeps growing! 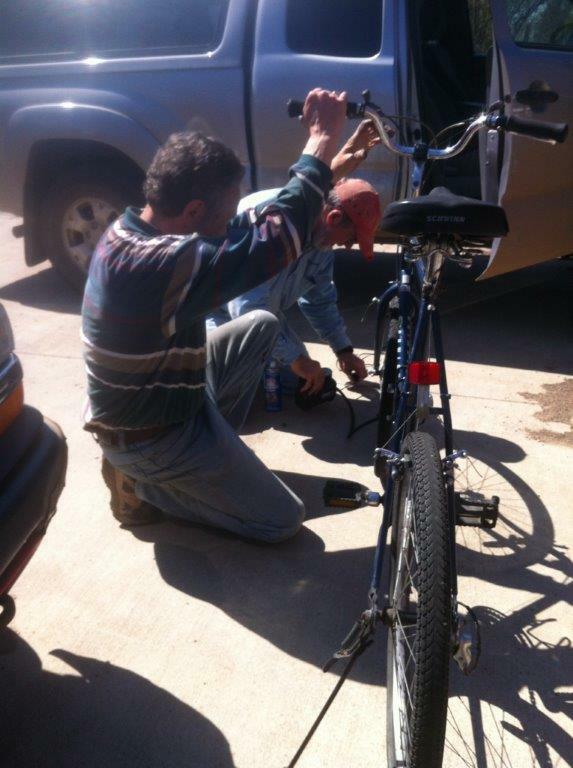 Volunteers work many hours each summer to resore the bikes to useable and safe conditions. There is need for more poeple with bike repair knowledge! If you can help, please contact the church office. If you need a bike. Pick up hours are below. There is a $40 deposit required.